Hi everyone! I’m Run Hao studying Chemical Engineering and Economics back in NTU, now in Year 3, on an exchange semester in Taiwan (National Taiwan University)! In Taiwan, life starts at night, for Taiwan is famous for her night markets that get busy only after the sun has set. To conquer all the street snacks uniquely Taiwanese, you’d have to have the hunger to travel all over Taiwan to visit the many different famous night markets. But fret not, with a well-connected and efficient public transport system, it is convenient getting anywhere, even to the most remote places such as the mountain ranges and sea sides by bus. After all, with the lush green peaks and the scenic ocean sides scattered all around the island-country, you’d be busy exploring both the man-made and natural wonders this country has to offer. Taiwan at first glance: It should be noted that their primary language of conversation is Mandarin, and it’s written as traditional Chinese characters. As such, depending on your familiarity with mandarin, you should do your research on course-matching here, for while exams are in English, most of the courses are taught in mandarin! NOTE: Being a Jay Chou fan and listening to his lyrics is not the same as listening to an engineering lecture in mandarin!! Visa: For Singaporeans, it is mandatory to get a visa as a visiting student to Taiwan for semester exchange. This can be easily done by filling up an online form at the Taiwan embassy’s website, before heading down with your passport. Although I got mine within 3 working days, it is always better to do it earlier than later lest delays! 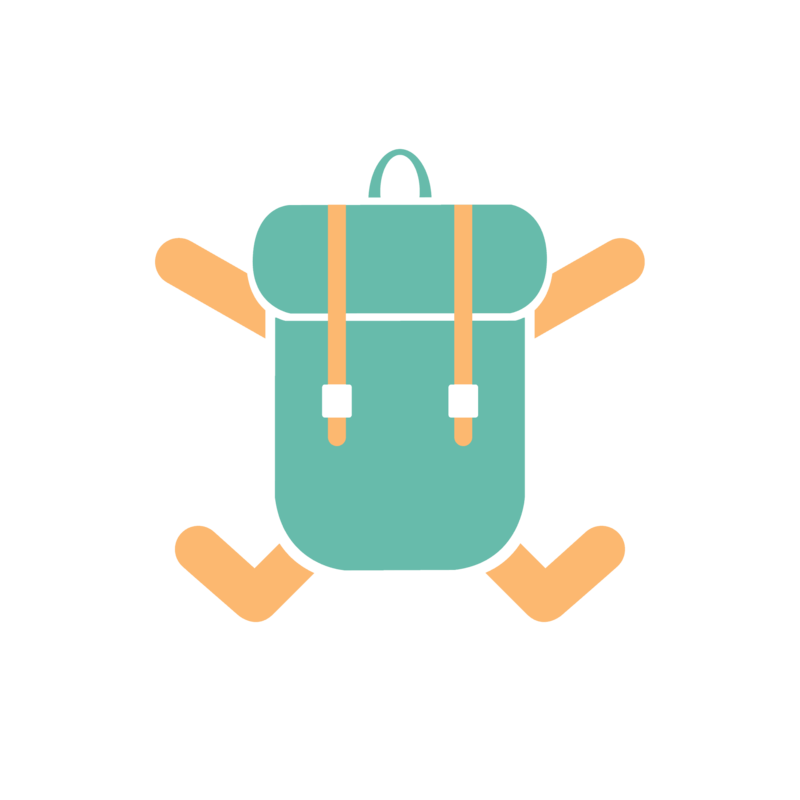 Transport: You might want to hold from getting a public transport card the moment you touch down, for your school’s ID card usually doubles as a fare card as well, which automatically falls under the student discounts! The same card can also be used to take the inter-city railways, which I will talk about more in my subsequent sharing! Banking: Guess what, they have DBS branches in Taiwan! You can directly use your DBS/POSB cards to withdraw money from the ATM! Also, take note that Taiwan does not have street money-changers; such services are provided only by the banks there. Those are some general tips to take note of before coming Taiwan! The are many universities available for exchange spread around Taiwan. Of course that includes National Taiwan University, nested within the capital, Taipei. Despite being a crowded city, it is nothing like Singapore, with tall apartment buildings interspersed between scores of low lying houses that illustrate the history and generations that have come before the 21st century. When coming to Taipei for a semester, the most striking thing about Taiwan is their academic calendar, which is significantly later than Singapore’s as well as Europe’s. The semester starts around September, which means your midterms come in November, and your finals are placed in January. This is important to note especially for those seeking internships next semester!Therefore, it is wise to plan any travelling before the semester, or between weekends. There are many places to go near Taipei, perfect for day trips when there’s good weather. Within the city, take a day off to relax at the highest Starbucks in the world at Taipei 101 (reservations required), or take a hike up Elephant Mountain (minimal difficulty) for a gorgeous cityscape view. To the north of Taipei, do take time to spend a day at Tamsui, paying a visit to the Western historical monuments while en route to catching a beautiful sunset at Fisherman’s Wharf! After which spend the night at Tamsui Old Street Night Market, or come back down South to Shilin’s Night Market, both of which offer a different variety of delicious street foods. 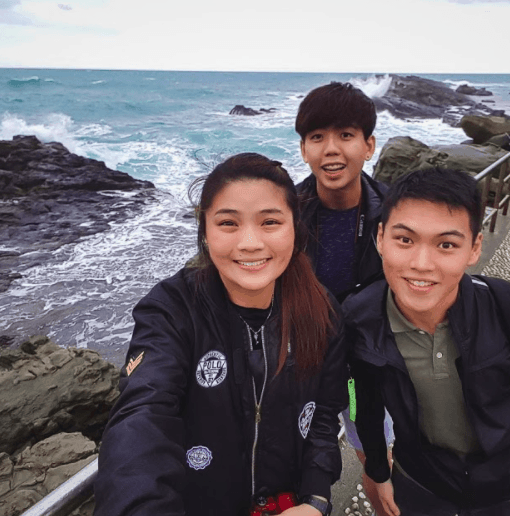 If you are looking up further north, I recommend going to a local’s favourite Sanzhi/Shimen District for a tourist-free walk along the northern-most point of Taiwan to enjoy stunning views of the coastline! Otherwise, if you’re just looking for a day of thrill to let loose, head South to Leofoo Theme Park where a ticket of around SGD20 (Do your price research for seasonal and foreigner discounts!) can give you a day of fun! (Their adjacent water theme park are closed in winter season) We went on a weekday and there was no pain of queuing for hours to get on the rides! And of all the places I have mentioned, they are ALL accessible by public transport. Google maps has a comprehensive (and more importantly accurate) coverage on the public transport system here in Taiwan (especially Taipei) so do not worry if you can’t or are afraid of driving on the less-than-forgiving Taiwan roads! I have realized that most of the time their buses do really go to even the most remote and corner places! -THSR: or the High Speed Rail, are the fast and shiny ones you’ll usually see being featured on travel vlogs and articles for their efficiency. Indeed, my train ride from Taipei to Tainan took less than 2 hours! However, a one-way seated ticket will set you back around SGD$70 which is as costly as it gets for land transportation in Taiwan! -TRA: the slower counterparts to the HSR, stop at more stations and there are a variety of lines to take and choose from, but a ride from Tainan to Taipei took us 5 hours, although the one-way seated ticket costed only around SGD$35, much cheaper than the THSR! -Bus: interestingly buses are what I’d recommend, for a one-way seated ticket from Taipei to Tainan would cost only SGD$15, and are as fast as the TRA! We’ve had pleasant experiences booking from Ubus, which is one of the many major bus companies that operate inter-city bus services in Taiwan. Of course, what is Taiwan without its food? The grand thing about Taiwan is that the food scene here is unbelievable. They are specialty food shops under almost block, a breakfast shop round every corner and night markets sprawl the streets every night to satisfy supper cravings. At night, our favorite mode of transportation is the bicycle. Similar to Singapore, there bicycle sharing kiosks can be found around the city, where all it needs is installing the app and registering your fare card (no deposit needed!). Taipei has really bicycle-friendly roads, and are frequently used by the locals as well. In fact on any day you might see more bicycles than pedestrians when going to school! Simply tap to use, and feel free to explore the waterways and riverside parks while on the way to a night market. In the north, there’s Miaokou night market with more orderly boxed-up cubicle-style street stores, located in Keelung; this is a good place for a day trip. Being much closer to Taipei as compared to Taichung or Kaohsiung, Keelung boasts many fishing ports, home to natural wonders such as the Elephant rock. An uncle I met on the bus told me locals come here for fresh seafood, and for views of a mountain-lined seaside. Of course, most of you would know Keelung for Jiufen, Shifen and for the sky lanterns at Pingxi, but don’t forget to head along the northeast coasts to visit the underappreciated wonders of nature! In fact, the places to visit in Keelung are numerous to the extent it might take you multiple day trips to conquer! Managed to travel everywhere in Taiwan? No worries, for Taiwan is a platform to a paradise beyond her borders. Yes, im referring to Okinawa, Japan. Wait, isn’t that in another country? Technically yes, but because geographically Okinawa is closer to Taiwan than it is to mainland Japan, Okinawa is an extremely popular travel destination with the locals here, famous for their pristine beaches and stunning cape views, so if you’re looking for an adventure of a lifetime, consider going to Okinawa in the summer! (or in the middle of the semester like we did!) However, unlike the public transport we have in Taiwan, transport in Okinawa is scarce and we strongly suggest renting a car to drive! 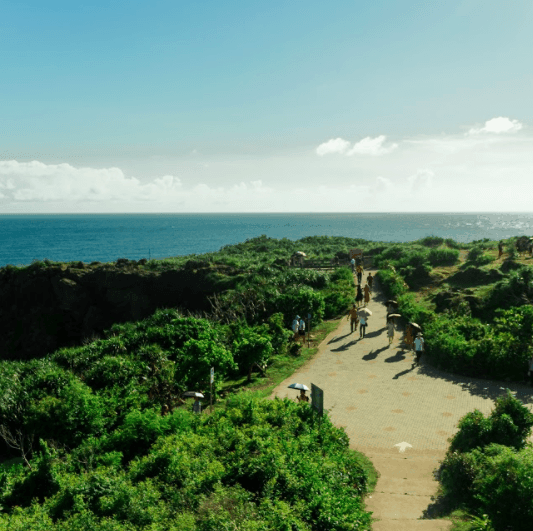 Start at the very top, heading over to Kouri island for immensely gorgeous views, and if you start your day early, you might have time to head over to Churaumi aquarium (where tickets are discounted after a certain timing in the late afternoon!!) and stare in awe at the swimming whale sharks and giant manta rays. Make sure to stay a while longer for their feeding time. Go cape (*not cafe) hopping to Cape Manzamo and Cape Maeda, the latter of which is home to a beautiful snorkelling spot called the Blue Do consider swimming with fish under the azure blue sea for an experience of a lifetime. However, for the best view head to Cape Zanpa (a personal favourite) where the lush-green cliffside views against the vast blue ocean from the top platform on the lighthouse (steep climbing of stairs involved) will take your breath away. After the wonders of nature, stay a night at the main city Naha, or a quieter Chatan, to take a stroll down Naha Kokusai Dori or American Village respectively. The former for japanese street shopping (plus a genuine Donquixote outlet) and the latter for a sunset of a lifetime (another personal favourite). Not to say that you’re better off visiting Okinawa than inland places in Taiwan, but if you’ve ran out of places to go, or if Okinawa has been on your bucket list since, why not take the opportunity aboard to explore further? That concludes my sharing of my experience in Taiwan as a student!! I hope it has inspired you to treasure the opportunity for exchange and to explore the world, be it Taiwan or anywhere else! I’ve always believed that staying in another country for a long while will never be the same as coming over for a holiday. There’s never the time to experience the local pace of life, or to indulge in traditional and local experiences and explore the less frequented areas. 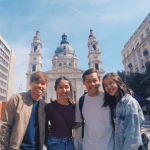 Of course, the goal is to study, but don’t forget the essence of exchange is to adapt, enjoy and embrace another country’s culture; see the world in a different light in a slower pace. Things we take for granted might disrupt our sense of living in a foreign land e.g. recycling trash, lack of plastic bags, expensive travelling and groceries and laundry in humid weather. It is then we learn to appreciate things we have and things we need to improve on as a whole! Furthermore, away from our family, we learn to support and rely on our friends for help when we need it, and I would say that half the experience comes from the company you have as well! I hope my sharing has been useful, and I hope exchange will be as good an experience for you as it is for me!